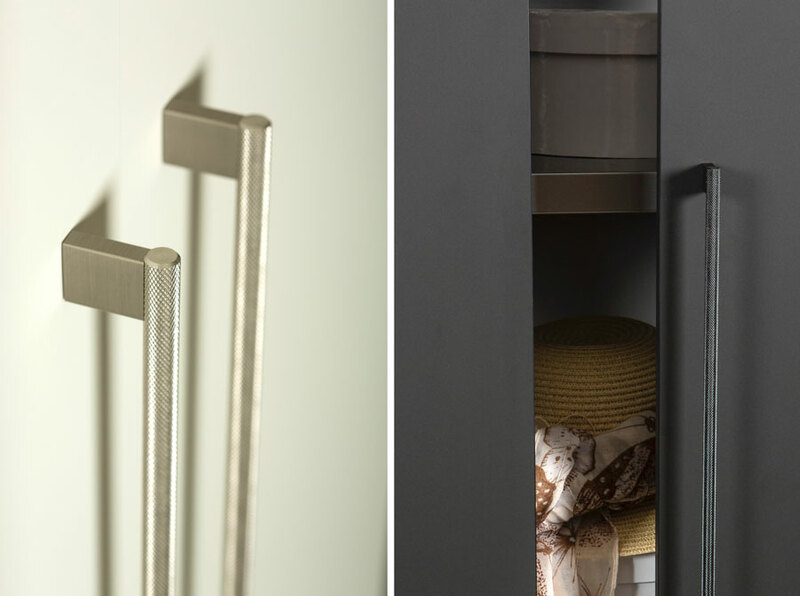 [en] The aluminum handle Graf2 has evolved from the successful Graf knob with a modern, industrial aesthetic. Its texture with a mesh-like shape ensures a perfect grip when you pull on it. 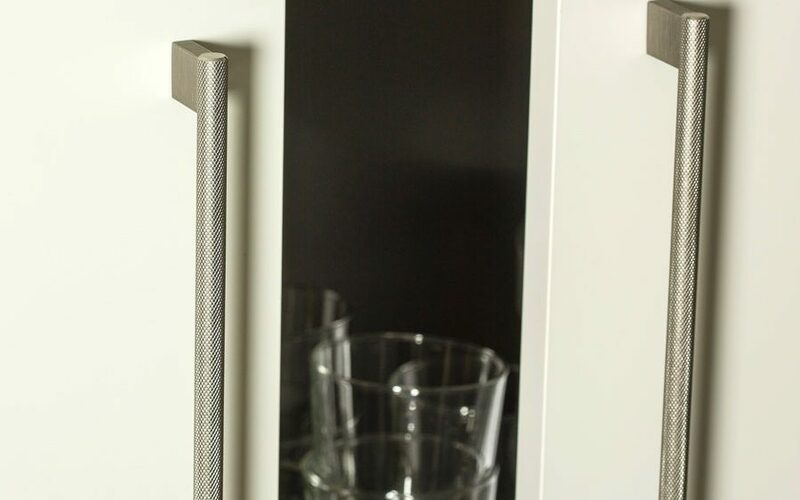 We have redesigned it, expanding its measurements and turning it into a more versatile handle that adapts well to all sorts of different surroundings. 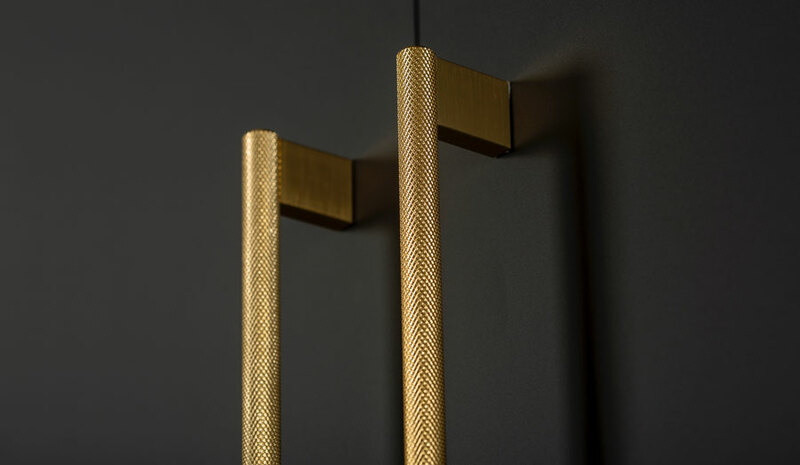 The two variations, with a knob or arched handle-like shape fit perfectly well with kitchen or bathroom furniture, in changing rooms, in bedrooms (from chests of drawers to bedside tables, to sets of drawers and cupboards). It is also suitable for hotel facilities and all types of contract projects. 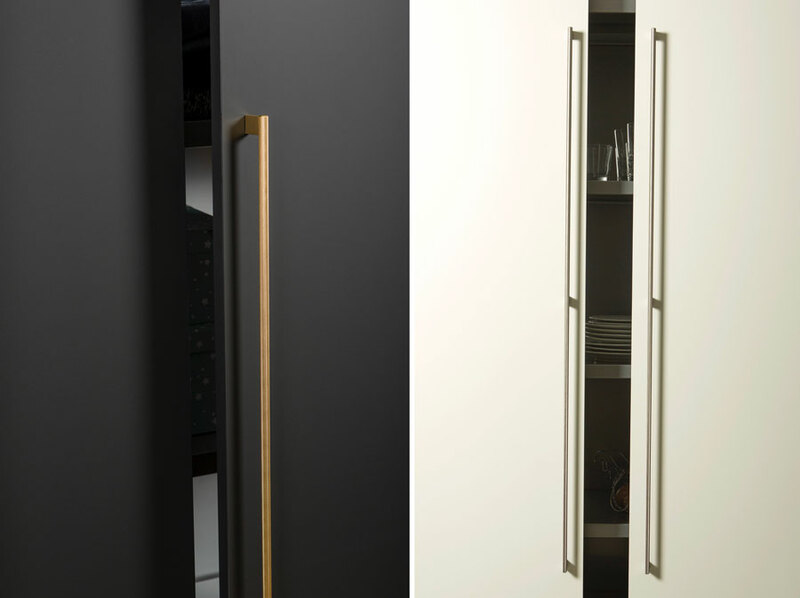 It comes in 5 different sizes and finishes with a stainless steel look, dark, brushed brass and brushed black. 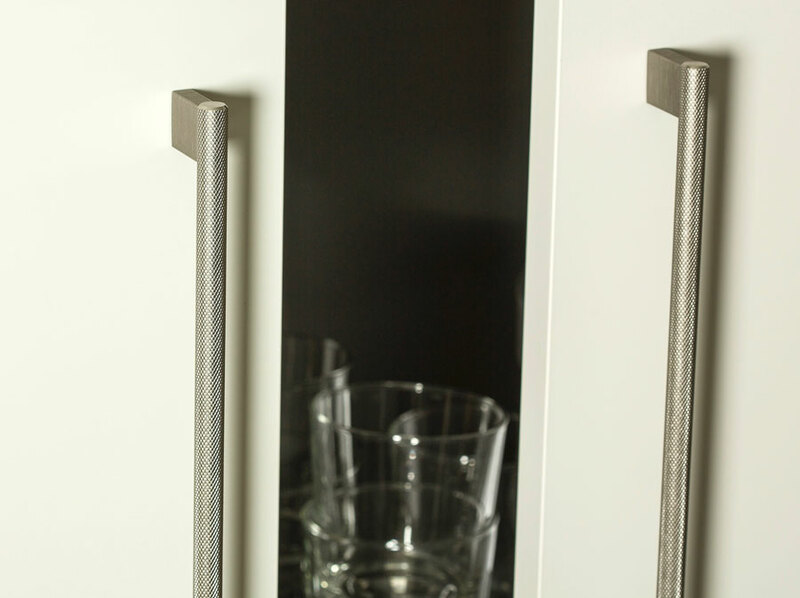 The largest size is 1200mm which allows it to be fitted to cupboards and doors with large dimensions achieving a perfect combsination between practicality and aesthetics.